I took a journal from Close To My Heart that I've been recording my new customers' names and contact information. Very boringly, I left the journal cover blank, off white canvas. The journal is no longer available in the CTMH Idea Book, but guess what? You can still get it -- and cheap! 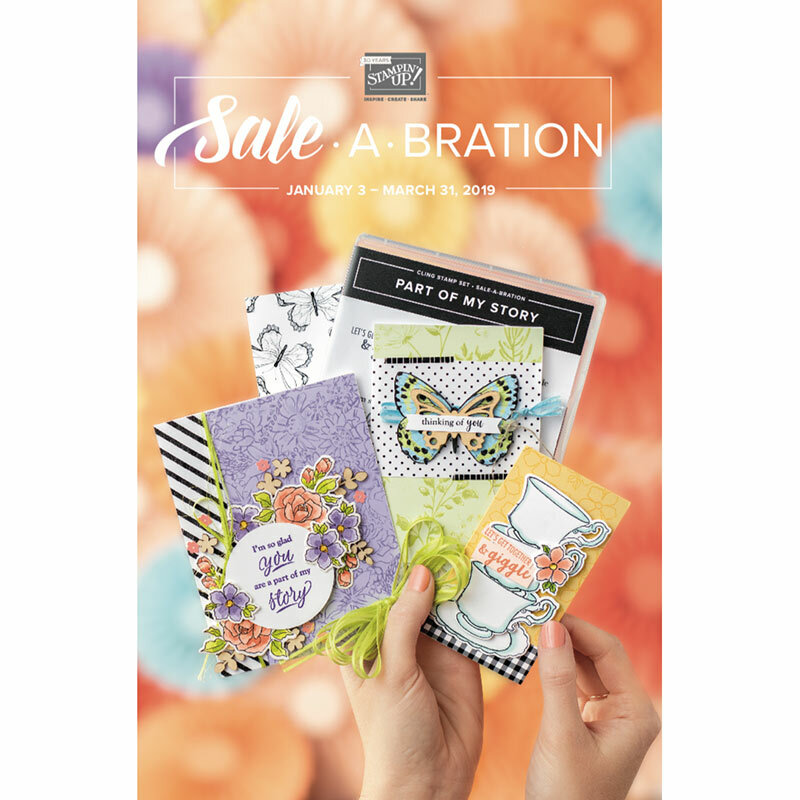 -- on the Close To My Heart "While Supplies Last" list by clicking HERE. It once sold for $8.95 and is now only $2.25!! It has 80 lined pages inside and it has a sturdy, customizable hard canvas cover. I'm planning on getting a few more to try different techniques on it! When I recently joined the Design Team for The Buckle Boutique, I was sent a box full of scraps of the cuttable rhinestone sheets as well as bridal trim. (See my post from last Saturday, where I blinged out a Phillies cap using the bridal trim.) Here, I took a scrap of beautiful white rhinestones, and hand-cut a heart from the center of the piece I wanted. I used the cut out heart in white to use as a template to cut the turquoise fill heart. While I cut both of these shapes with scissors -- quick and easy! -- you can also use your electronic cutting machine (Cricut or Cameo) to cut these fantastic sheets. And they're adhesive and stick well. I trimmed out the spine and top and bottom edges using scraps of ribbon from Really Reasonable Ribbon, affixed with Sookwang double-sided, super-strong tape. BLOG CANDY ALERT! I have some blog candy for this hop! 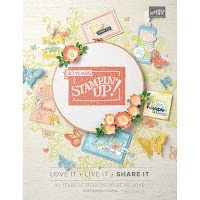 On Monday, 9/23, I will randomly choose one person who both comments on this post as well as follows the CardMonkey blog, to receive a beautiful Close To My Heart stamp set, retail value: $17.95. In your comments, please leave a way for me to contact you. I'm the last stop on this blog hop, so I am just going to ask you to be sure you've stopped at all of the other bloggers' posts (a list follows here), and leave some love. By doing so, you'll qualify for some blog candy provided by our hostess, Robin Scott. Thank you again for stopping by. Come back on Monday when I'll have another post featuring the products of Lovebug Creations. Wow now that's a journal anyone would love! How gorgeous!! I am putting these bling sheets on my wish list!! AWESOME! 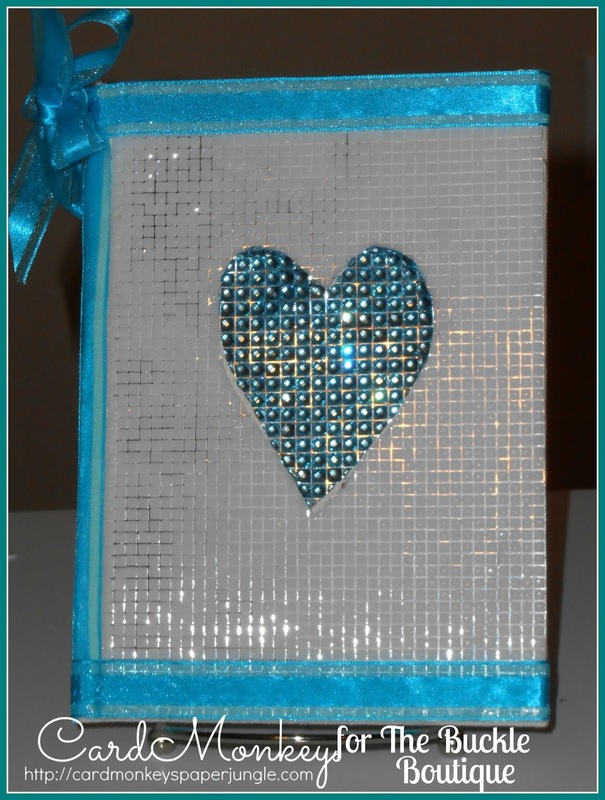 I love how you used scraps of the Dazzling Diamond Sticker Sheets to turn this journal into a treasure! What a gorgeous way to decorate a journal!! so pretty! very bling bling bling! Wow what a gorgeous altered journal!! All that shiny bling gives such a luxe look! I am already a follower by email and Google! Love the decorative rhinestone heart! This is such a beautiful project. The rhinestone heart is so elegant and blingy!!! I am a follower and always read your blog for all the great inspiration! love all the bling! you go girl! I love, love, LOVE this altered journal!!! The colors are perfect together, and the heart just pops right off the cover! Great job! I'm a new follower. TFS, and thanks for the chance to win! Just finished the hop. Love the sparkle on your journal. I follow cardmonkey via Google friend connect.